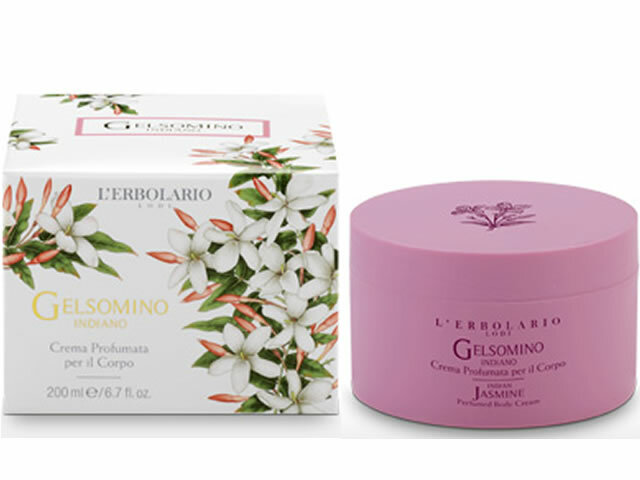 The sumptuous fragrance of Indian Jasmine, candidly preciuos sensual and exotic, wraps your skin in this Cream with its buttery consistency. In fact, Sal, Cocoa and Kokum butters leave your skin moisturized and compact, while the oils from Coconut, Sunflowers and Safflower nourish your skin with theri velvety caress. Extract of Jasmine flowers, wax from Jasmine flowers, Sal, Cocoa and Kokum butters, Coconut, Sunflower and Safflower oils, unsaponifiable fraction of Olive oil, vitamin E from Soybean, hydrolyzed Mallow and Buckwheat proteins.